This handsome sign , while large (36 inches wide), is easily readable from both directions of cars driving by, as well as pedestrians. The black 4x4 redwood posts are topped with elegant finials. 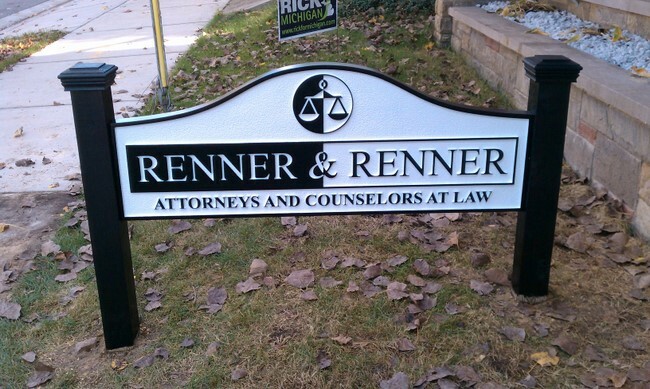 This is an outstanding example of a cost-effective but impressive lawyer sign that does the job. For more information on design options, prices and delivery times, please call us at 760-951-8484 or email us at info@artsignworks.com, and our knowledgeable and friendly customer service representatives will be pleased to help you.